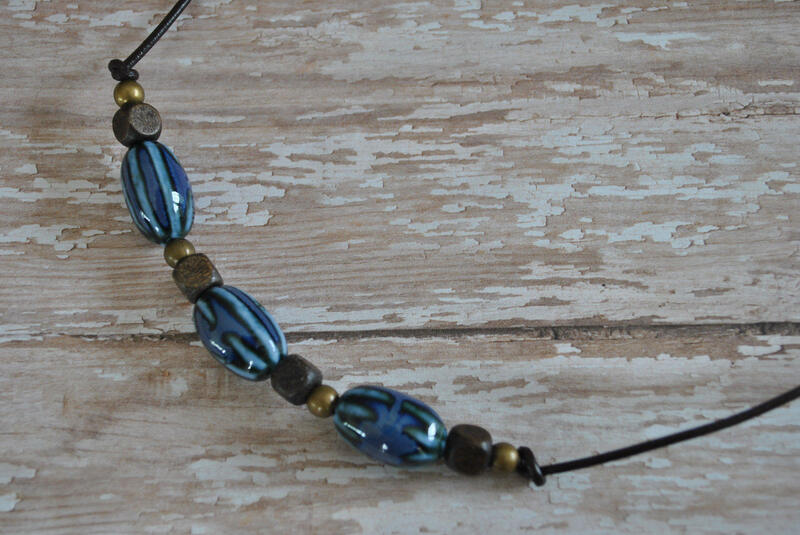 A men's necklace that really catches the eye! 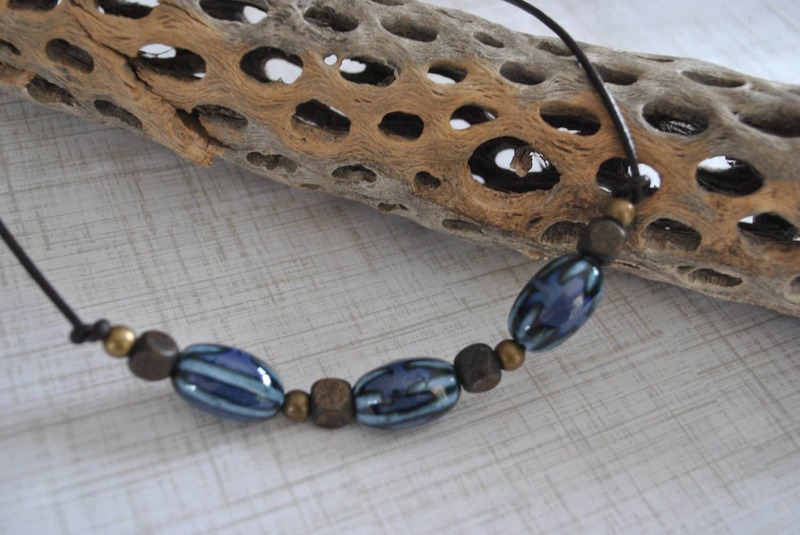 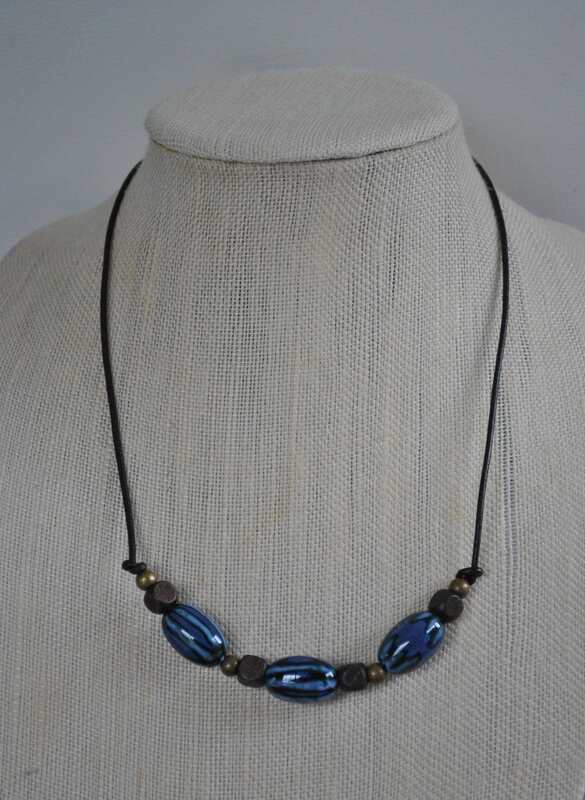 Cobalt blue ceramic beads are surrounded by wooden and brass beads. 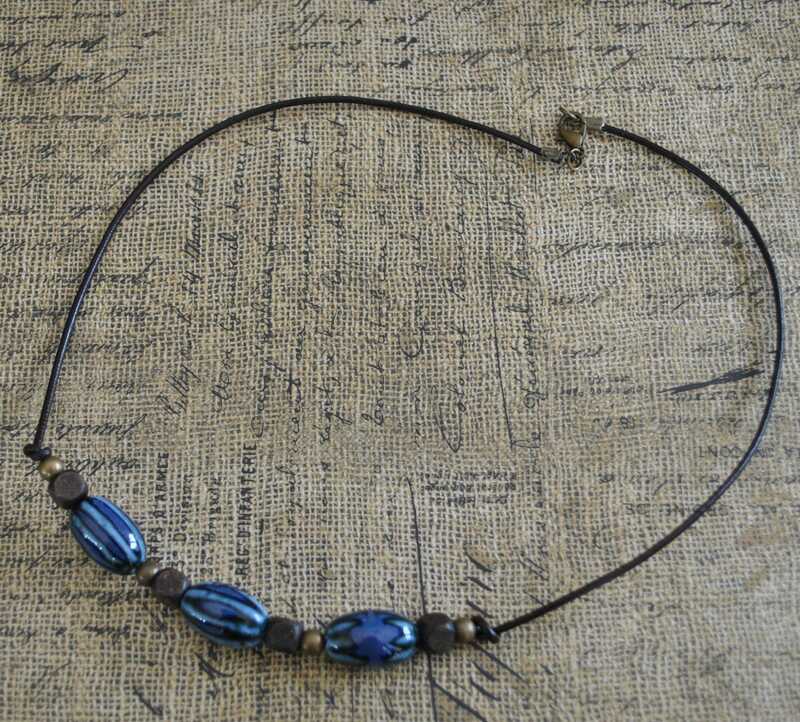 A brown leather cord necklace with brass lobster clasp completes the necklace.